Hematoid Quartz removes negative energy, transforming and transmuting it into the positive energy of universal love. While very grounding, it also uplifts our clarity in understanding the difference between our unconscious reactions and conscious responses. Hematoid Quartz is in the Triclinic Crystal System in the mineral class of Silicates. It is a common find all over the world. Currently much that is available comes from places like Brazil, China, Czech Republic, Germany, Madagascar, Namibia, Spain, UK, and the US. Hematoid Quartz contains Hematite and or Limonite inclusions. These inclusions can show themselves as small dark brown or red-brown stars, streaks or clouds within the Quartz. Out in the world market, it can also be found by the names of Harlequin Quartz, Specularite Quartz, and Fire Quartz. In the geology world, it is correctly called Ferruginous Quartz. The term Ferruginous means that it contains iron oxides which are the main makeup of both Hematite and Limotite. Hematiod Quartz provided the best effects carrying it with me for a while. I did try meditating with one for a bit but found it much too stimulating mentally to actually meditate. I did ,however, come up with a nice to-do list for things I had been wanting to do but wasn't sure how to proceed on. The longer I carried it with me, the quicker solutions seemed to come. Hematoid Quartz amplifies and balances all our Chakras, reduces negative energies, and is stabilizing over all. Hematoid Quartz is a terrific aid for anxiety, clarity, emotional balance, self-confidence, and self-worth. Hematoid Quartz promotes self-control by avoiding confusion. Use this one to clear and focus your mind. It can enhance memory and aid in clarity of thought. Some call it a "mind cleanser" as it will aid in calming emotions to allow for rational thought and decision making. In this way, it calms mental stress. Hematoid Quartz can be used in the treatment of blood disorders, to balance the chakras, boost the immune system, stimulate healing, strengthen liver and kidney functions, and cleanse toxins. Because it enhances focus and concentration, I would imagine it could also be especially helpful for those with ADD and ADHD. 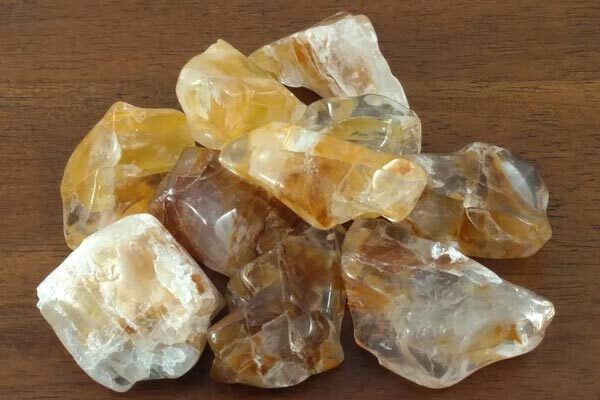 Hematoid Quartz has a special affinity with Scorpio, but benefits all signs. . It's energy is Projective, Planet is Saturn and its Element is Fire. It is believed that Hematoid Quartz can help you communicate with spirits at all levels and on several dimensions. I will admit to not trying this as I have not had a problem with those connections. If you do explore this avenue, let me know your findings. Many have found this one to be a helper stone and use it with stones known to specifically help specific purposes. I tired with several and have to say, it did provide a fairly good boost to other stones energies. Much more so than a slow acting agate helper.